Is international terrorism really the single greatest threat to world security? Unless urgent, coordinated action is taken in the next 5-10 years on all these issues it will be almost impossible to avoid the earth becoming a highly unstable place by the middle years of this century. 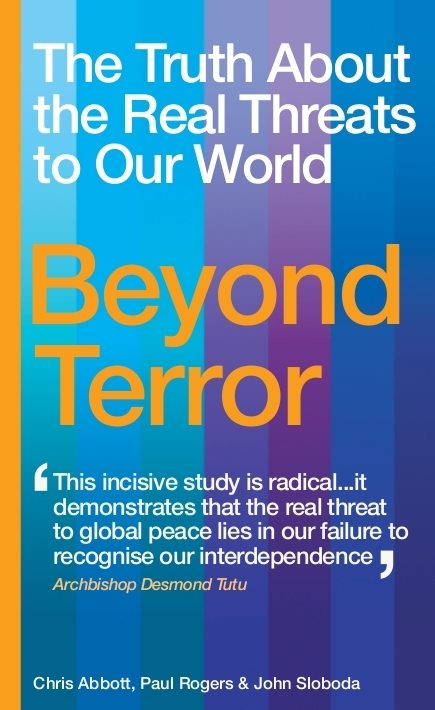 Beyond terror offers an alternative path for politicians, journalists and concerned citizens alike. Available in paperback and for Kindle. Published in English (Rider Books), Portuguese (Editorial Presença), Dutch (A.W. Bruna), German (Edition Nautilus), Spanish (Los Libros del Lince) and Catalan. ​​"This brilliant and lucid book is the single most important contribution to understanding and coping with the future that I have ever read."